Hannah represents clients in complex commercial disputes before federal and state courts and in alternative dispute resolution proceedings. Hannah helps clients evaluate whether litigation is the best method for achieving their business objectives and advises clients on how to identify, protect, and enforce their intellectual property rights. Her litigation experience includes trademark and copyright infringement, trademark dilution, unfair competition, trade secret law, contract disputes, and employment disputes. 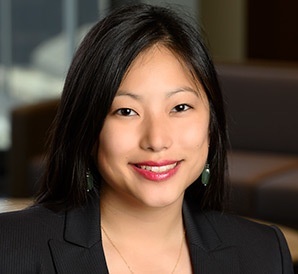 Hannah has experience in both trial and appellate practice, including briefing and arguing summary judgment and discovery motions in federal court, preparing and taking depositions, preparing expert witnesses, working on federal appeals, and managing cross-border discovery. Before joining Barack Ferrazzano, Hannah was a judicial extern for the Honorable Ann Claire Williams in the U.S. Court of Appeals for the Seventh Circuit. During law school, Hannah also interned at both non-profit and government agencies to serve human trafficking survivors and advise on compliance with U.S. treaty obligations. During her LLM program, Hannah analyzed the interplay between domestic and international legal frameworks regulating transparency in supply chains of transnational corporations. Additionally, Hannah worked with the Paralegal Advisory Service Institute in Malawi where she conducted mitigation investigations, developed case management protocols, and facilitated negotiations between defense and prosecution for resentencing prisoners.